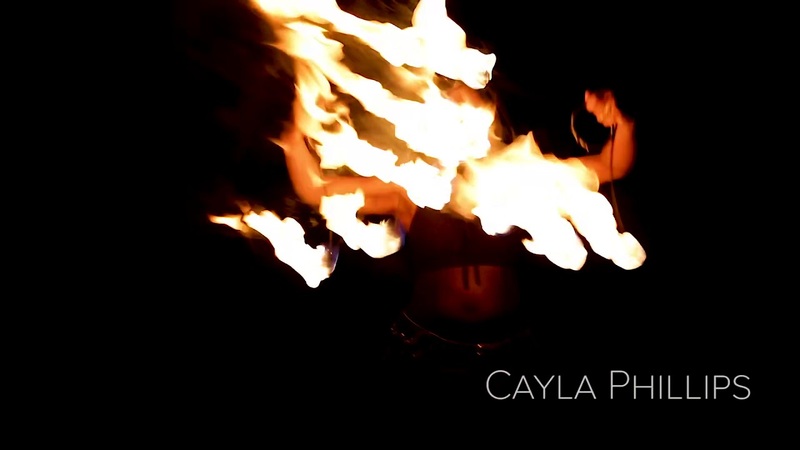 We are a collective of Chicagoland's most eminent fire performers. Each member has years of professional experience as a performance artist and has been recognized individually by the flow community. Our performance aesthetic combines elements of fire, dance and LED to create the ultimate visionary experience. We provide top notch entertainment for events, music festivals, private parties and more, with safety always being our number one priority. We strive to create a safe and innovative experience customized to your specific event. Our goal is to leave the audience with an extraordinary illustration that is unique to each individual performance artists aesthetic. Insurance: $1,000,000 - We are insured through specialty insurance. - How many performers you are looking to have at your event, we currently have 7 members on our troupe. -If you have a particular theme in mind in regards to costuming or makeup for our performers, let us know! - If you are looking for choreographed pieces for your event or more free flow performances alongside a musician or DJ, we are happy to do either! -Any additional requirements or ideas for your event, we would love to help make the event the best it can be! We are a collective of Chicagoland's most eminent fire performers. Each member has years of professional experience as a performance artist and has been recognized individually by the flow community. We are all trained in fire safety for ourselves and the crowd, and can provide proper documentation for insurance purposes. Our performance aesthetic combines elements of fire, dance and LED to create the ultimate visionary experience. We provide top notch entertainment for events, music festivals, private parties and more, with safety always being our number one priority. We strive to create a safe and innovative experience customized to your specific event. Our goal is to leave the audience with an extraordinary illustration that is unique to each individual performance artists aesthetic. 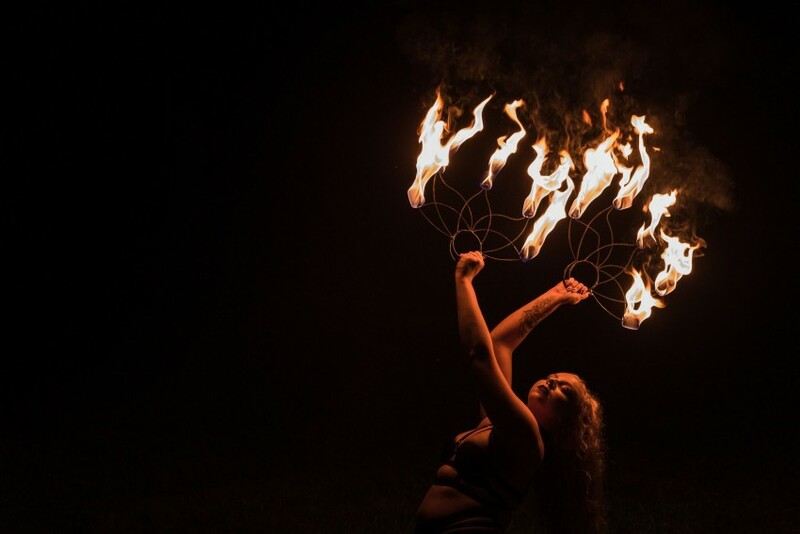 Some of the props we specialize in but are not limited to; LED hoops, double hoops, fire hoops, fire fans, fire triads, fire eating, palm torches, fire poi, dragon staff and more. 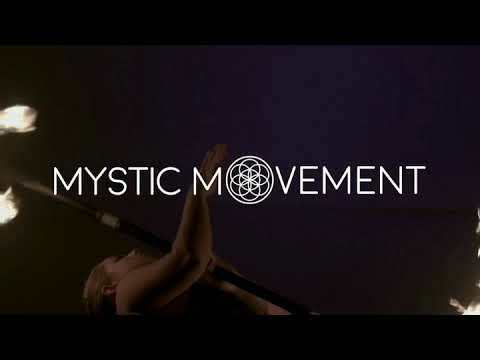 Mystic Movement provides the perfect entertainment for any type of party, music festival or event with safety always being our number one priority. LED- A space either on stage or a sectioned off/designated area for our performers. If on platforms or on stage a 10X10 space would be ideal per performer but we can easily adapt to smaller spaces for our performers. Fire- We require two sectioned off areas, one for our fueling station where we would be dipping our props and where we would keep our fuel and one as our performance space, size dependent on how many performers are booked for the particular event. If on a stage we would still need the sectioned off area for dipping our props. Fire: A well ventilated room for fire performances is a must, also a sectioned off area or platform/stage is required for indoor fire performances. A designated area for fueling and dipping our props is also needed. We provide fuel, fuel buckets, fire blankets, and other materials and will have a designated safety for our performances.